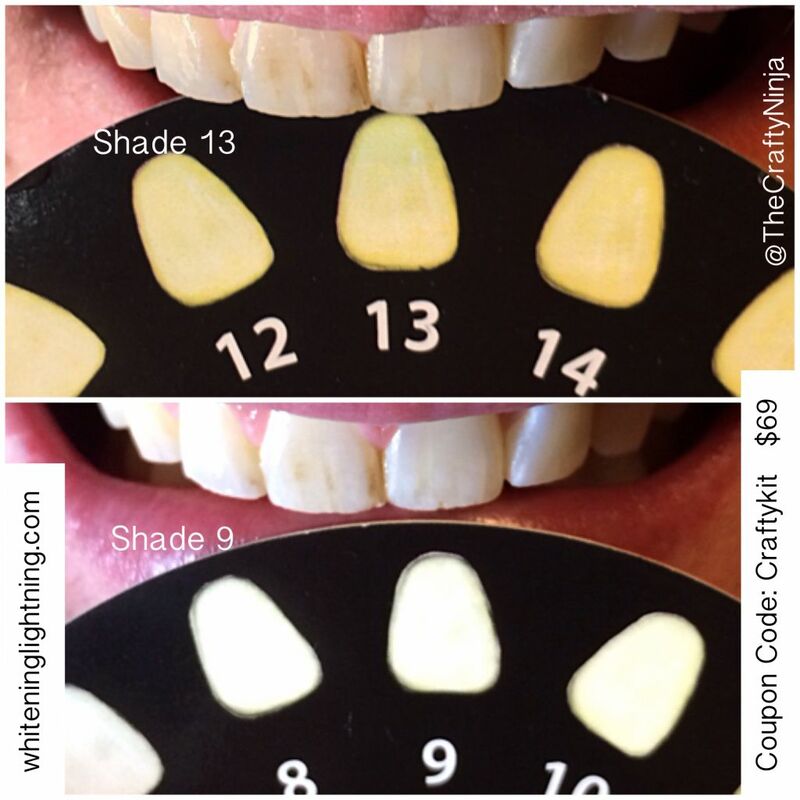 I used the Whitening Ligthning Dial-A-Smile Professional Home Teeth Whitening kit to get the color of my teeth 2-3 shades whiter teeth. This is a quick and easy way to get whiter bright smile in just 20 minutes. I have sensitive gums and tried another teeth whitening product 3D Crest White Strips, which made my gums sore for days. The Dial-A-Smile didn’t cause any sensitivity or soreness afterwards. This product is made in the USA , Cruelty Free, and Gluten Free. 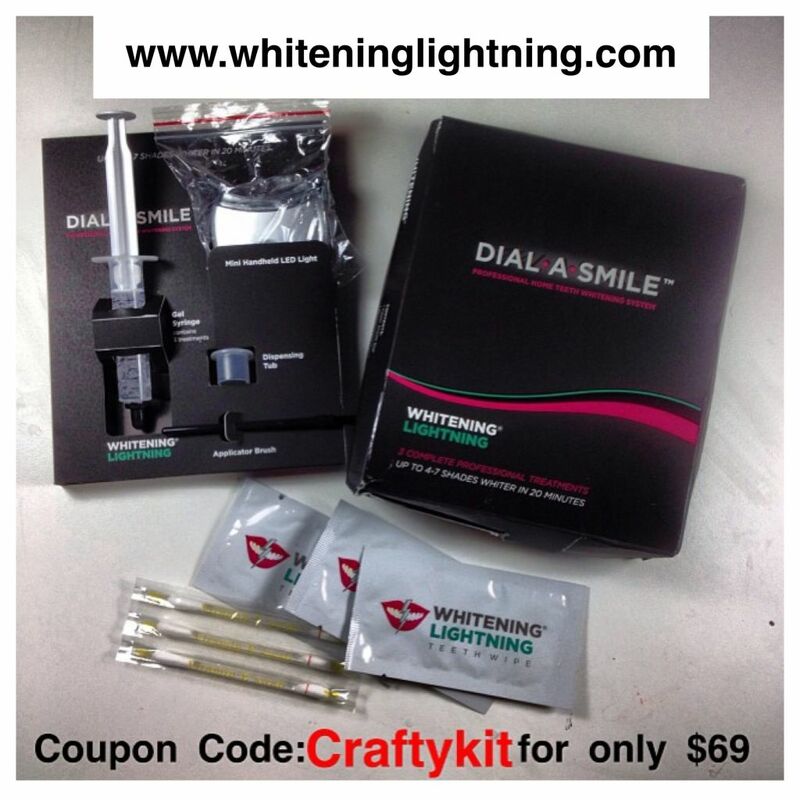 Use coupon code: Craftykit to get the Dial-A-Smile Professional Home Teeth Whitening kit for only $69, which is originally $399. Check out my full review and tutorial below. I also used the Super Booster Whitening Pen to maintain my bright white smile. Use coupon code: CRAFTY to get it for only $19, which is originally $79. Check out this tutorial and review HERE. After two treatments I went from a shade 10 to a shade 8, then to a shade 5. That’s five shades lighter from when I started! 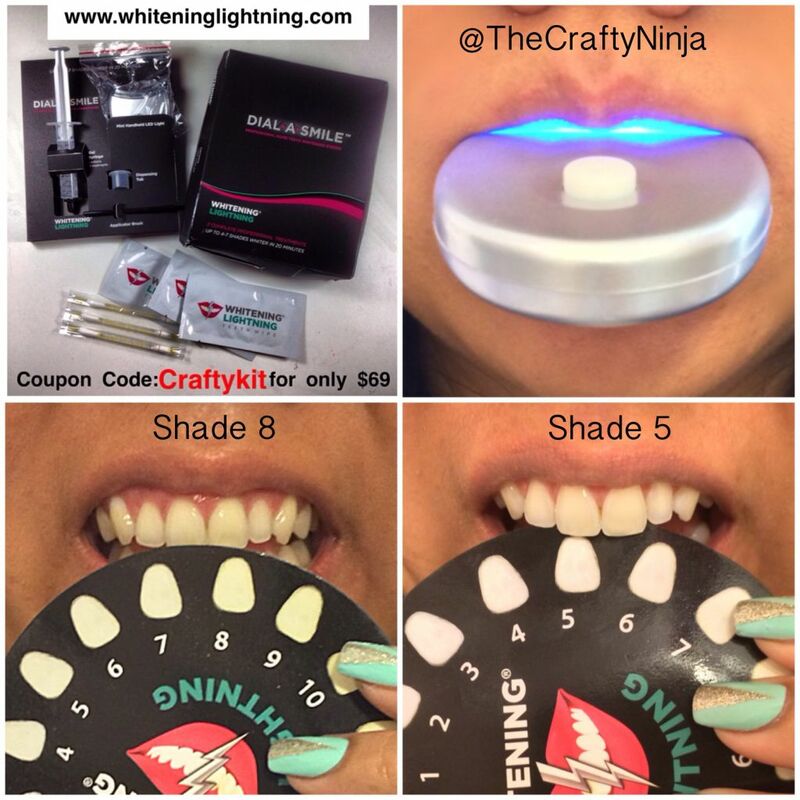 Seriously love my home teeth whitening kit from Dial-A-Smile Professional Home Teeth Whitening! Don’t forget to use the coupon code: Craftykit to get this kit for only $69, which is originally $399.